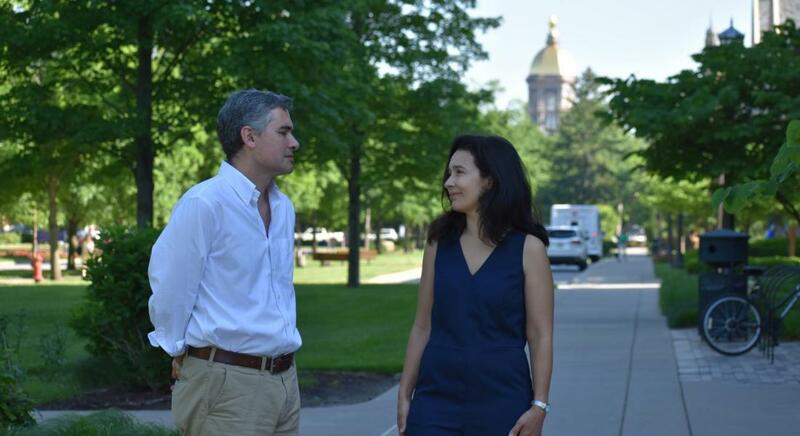 On July 3rd, 2018, Cátia Batista and Pedro Vicente gave an interview to the University of Notre Dame. Catia and Pedro discussed their three-year study on mobile money and its impact on the lives of rural Mozambicans. They also referred to some of their individual work in various African regions about international migration, political accountability, natural resources, technology in education, and incentives for health workers. Their main aim is to provide reliable evidence for policymakers and donors about development strategies that work. You can know more about the projects and read the whole interview here. Written by the NOVAFRICA team.